John Lewis has won this year's Christmas campaigns battle - but will social media views and share of the festive public conversation translate to success at the tills when retail figures are published in January? 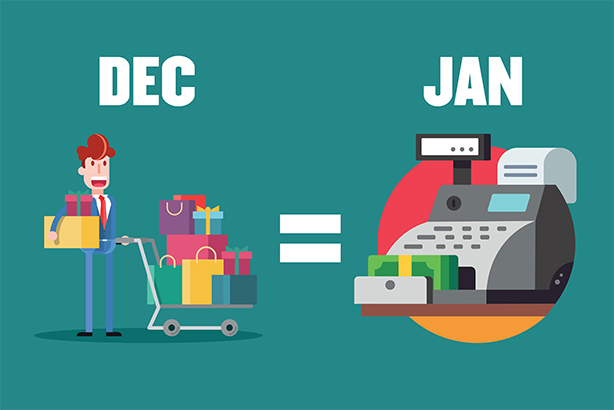 Will social media success equate to money in the tills in January? With 56 million views and 240,000 tweets so far, compared with nearest rival Sainsbury’s 15 million views and 47,000 tweets, John Lewis has trounced rival retailers for share of the public conversation once again. But are ‘talkabaility’, views and social media reaction any test of how a Christmas campaign will translate into sales at the tills? In January, John Lewis reported a 5.1 per cent hike in like-for-like sales for the six weeks leading up to the end of the year, perhaps indicating that last year’s ‘Man on the Moon’ campaign had helped to drive Christmas customers to its stores. Andrew Bloch, founder of Frank PR and a member of PRWeek’s Christmas campaigns panel, thinks they are a good means of gauging the effectiveness of a campaign. Bloch (above) said: "They are a good barometer to measure the talkability of a campaign and how well it has resonated. If the aim of Christmas marketing is to create a buzz around a brand and evoke a powerful emotional response, then it is fair to say that many of this year’s festive ads have done a great job. The end goal is action, not eyeballs, but if the trend of previous years continues, then it is fair to assume that online success and social media reaction is a good indication of increased sales and that huge and growing levels of engagement appear to directly correlate with sales figures." Fellow panellist Misha Dhanak, co-founder of The Romans, said it was crucial for retailers to capture and then hold the public’s attention as early as possible during the crucial Christmas period. She added: "Retail success at Christmas incorporates a much broader mix of factors than solely conversation, but it’s undeniable that driving the amount of noise and frenzy that some of the retailers have achieved in recent weeks as a result of their Christmas campaigns will have created a greater emotional connection with their potential customers and will help them stay front of mind when the UK is pounding the high street. The proof of the pudding will obviously be in the retailers’ coffers early next year." I’m sure talkability turns into hard sales...but offers and discounting, product innovation, the strength of online offerings and 1,000 other reasons make it a way more complicated, multivariate question. Chris McCafferty, founder of Kaper, said he was impressed at Facebook shares approaching one million for this year’s John Lewis campaign. He said: "I’m sure talkability turns into hard sales...but offers and discounting, product innovation, the strength of online offerings and 1,000 other reasons make it a way more complicated, multivariate question." Every year since John Lewis unveiled its first show-stopping Christmas campaign, the PR industry has wondered whether the phenomenon has peaked and if this will be the year another retailer seizes its crown. If this year’s figures are any indication, the public has not lost its appetite for the campaign. Social media figures for the first two hours after this year’s John Lewis campaign went live show there were more than 30,000 tweets about it, compared with 27,000 for last year’s Man on the Moon. If anything, the public’s appetite is growing stronger, rather than weaker. McCafferty (above) said: "Every year people say it’s peaked. Every year it hasn’t. The process must give [John Lewis] sleepless nights. I’m almost looking forward to 2017’s effort already. Almost." Dhanak thinks it is good that retailers are using the spotlight John Lewis has created as a platform to promote their own campaigns. She said: "John Lewis began the trend of turning the start of Christmas in to a major calendar event in the news agenda and it is great to see more retailers than ever creating equally compelling campaigns, all of which have been sensitive to the mood of the nation this year." But Bloch said rivals still had a long way to go if they want the John Lewis crown. "The John Lewis advert has come to establish itself as a virtual curtain-raiser for the Christmas gifting season. I don't see other retailers closing the gap in the near future based on this year’s efforts. He said: "The John Lewis advert has come to establish itself as a virtual curtain-raiser for the Christmas gifting season. The hype, speculation and talkability surrounding the advert is unmatched by its retail rivals, and I don't see other retailers closing the gap in the near future based on this year’s efforts." Getting and holding a large slice of the conversation and maintaining momentum from early November through to the end of the year has been the major battle uppermost on most retailer’s minds. But thrown into the mix this year and doubtless causing many headaches at board level and below has been the disruptive influence of the grassroots consumer activist group Stop Funding Hate. The campaign group seeks to put pressure on brands to divest their advertising spend from media outlets, including the Daily Mail and The Sun, which, it believes, promotes prejudice. Peace on earth and good will to all men' (and women) is what Christmas is meant to be all about and the Stop Funding Hate campaign is a great example of timely hijacking of this. Activists carried out a brand-jacking operation on the first weekend following the launch of the John Lewis campaign, in which it hijacked the hashtag #Bustertheboxer and called on the retailer to live up to its brand values and end its advertising spend in The Daily Mail. It also leapt on the relevant hashtags for the M&S campaign and, by the end of the weekend’s operation Lego pledged to end an ongoing promotional tie up with the Daily Mail. Dhanak praised the campaigner’s tactics, adding: "Peace on earth and good will to all men' (and women) is what Christmas is meant to be all about and the Stop Funding Hate campaign is a great example of timely hijacking of this." Speaking last month, a spokesman for John Lewis said of Stop Funding Hate’s campaign: "We fully appreciate the strength of feeling on this issue but we never make an editorial judgement on a particular newspaper." On the record, brands may appear resolute, but in private some are nervous about this type of activism. One major retailer told PRWeek they admired the campaigners and were watching developments very closely. So should the retailers be concerned about consumer activists and take them seriously? McCafferty said: "Hashtag hijacks are a fact of life now. Every brand and business has a responsibility to take this type of online activism seriously as it can quickly escalate into a movement of people that cancels out earned positives." Bloch thought the campaign was particularly effective at highlighting the relative brand values of John Lewis and the Daily Mail and bringing both into sharp focus. He said: "The Stop Funding Hate campaign appears to be gaining traction and giving brands difficult decisions to make. John Lewis find themselves in a particularly tough position and, as many on Twitter have pointed out, one of John Lewis's principles' is to ‘contribute to the wellbeing of the communities where it operates’. Campaigners are asking if John Lewis' advertising in the Daily Mail is in line with that commitment." But Bloch warned that brands would baulk at appearing to exercise censorship over the publications they advertise in and that they should be free to put that spend wherever they like. 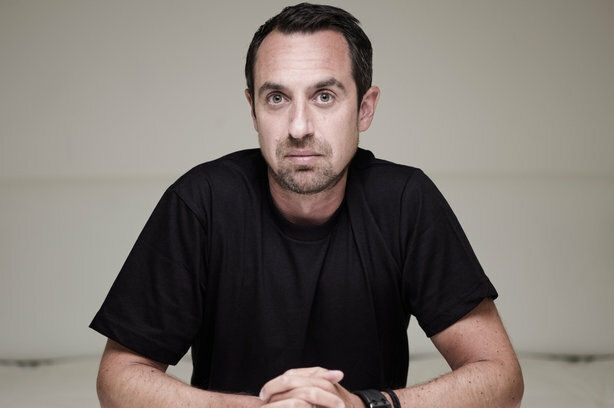 He concluded: "Brands should, however, take the campaigners seriously, and recognise that they are exercising a choice. When challenged, they should explain those choices in the full knowledge that consumers will draw their own conclusions from them."